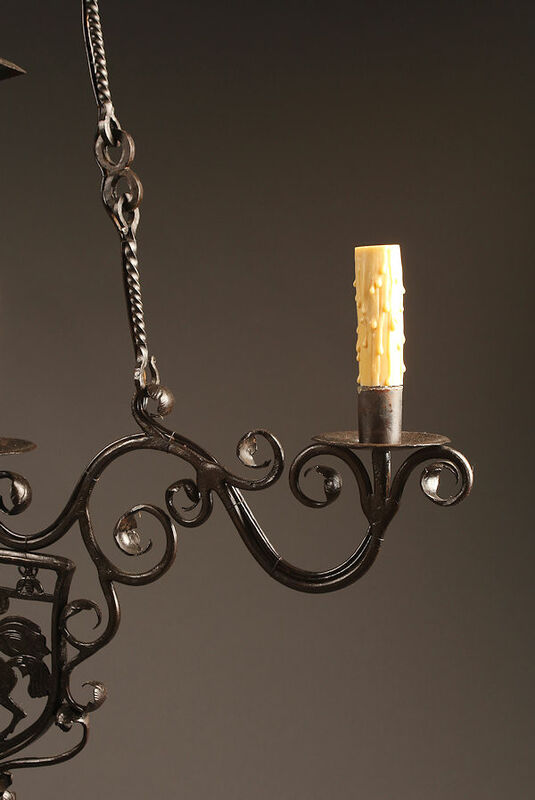 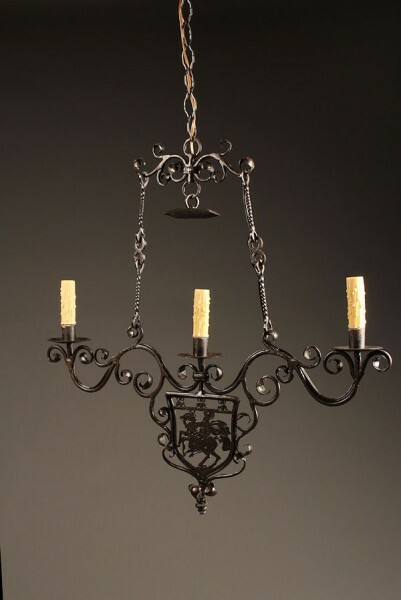 Ornate wrought iron antique chandelier with mounted horseman.Ornate wrought iron antique chandelier with mounted horseman. 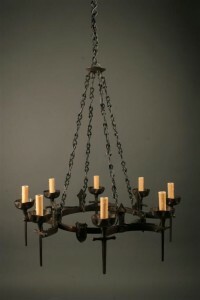 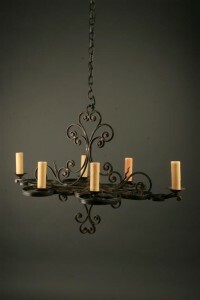 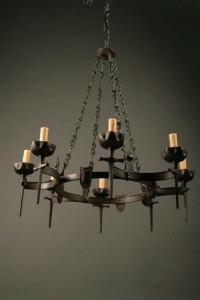 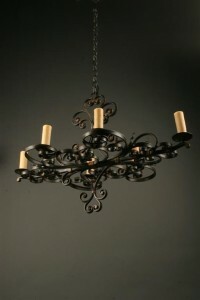 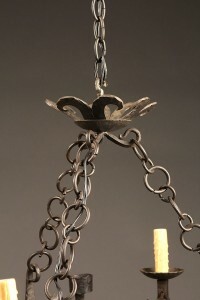 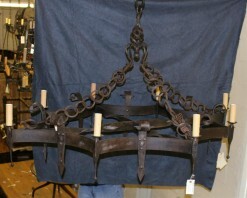 Ornate wrought iron antique chandelier with mounted horseman. 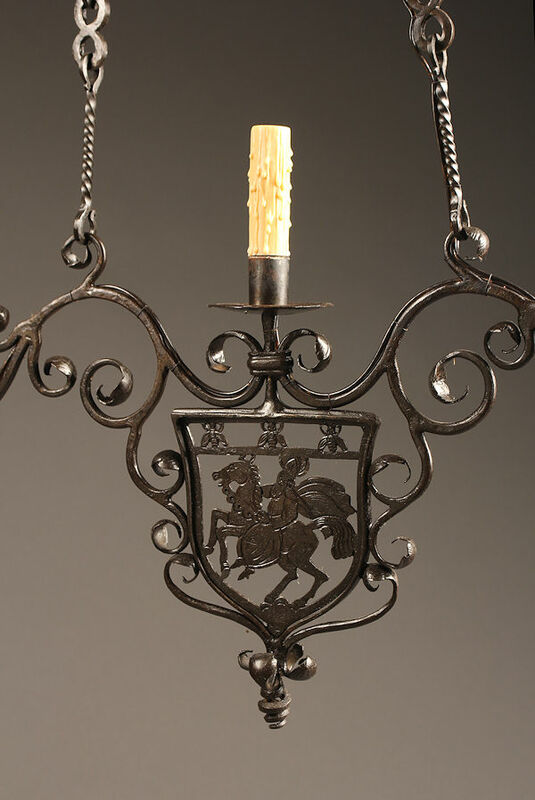 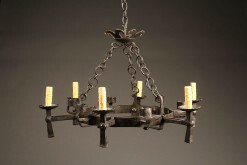 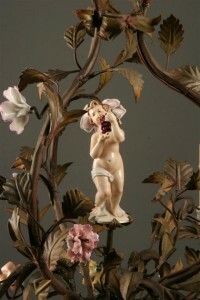 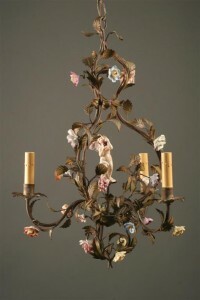 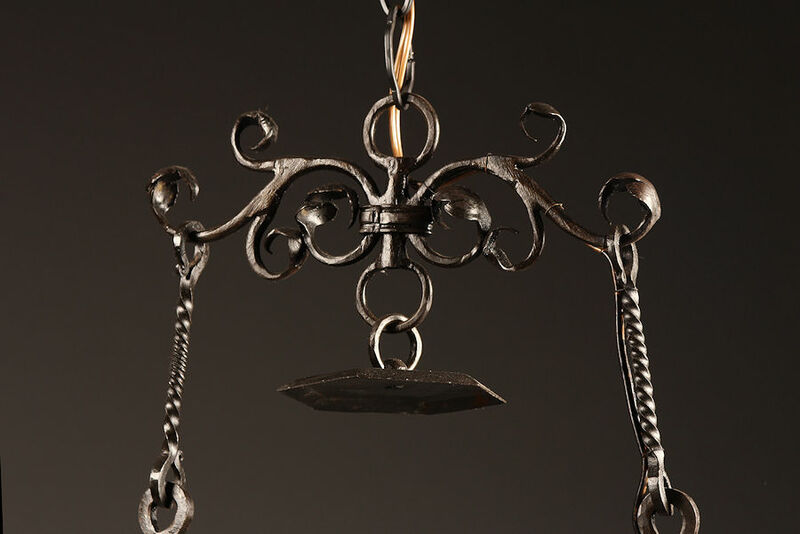 Ornate French 3 light wrought iron antique chandelier with mounted horseman, circa 1900-20.